All we really want for ourselves and our children is to be happy. But how do we achieve lasting happiness? Bookstore shelves and the Internet are crammed with theories, strategies, and “secrets,” but author Neil Pasricha’s take on the topic in his new book The Happiness Equation is fresh, surprising, and (in Asha’s opinion) spot-on. 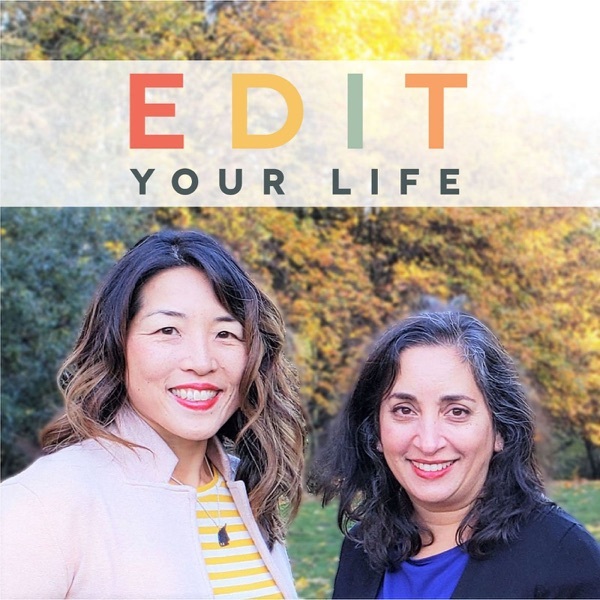 In Episode 37 of Edit Your Life, Neil and Asha talk about what motivated him to write this book, why ignoring advice (even ours) might be one of the secrets of happiness, and how a few minutes each day spent on a few totally-doable activities are proven to increase your happiness. Do you have a question, comment, or show topic idea for us? Would you like to sponsor an upcoming episode? We’d love to hear from you via facebook.com/edityourlifeshow, by tagging your Instagram or Twitter posts with #edityourlifeshow, or via edityourlifeshow@gmail.com. You’ll find show notes for this episode, including links to resources we’ve mentioned, at edityourlifeshow.com.